Game 162: Vin Scully soars, Dodgers go meekly in the final game of the season. 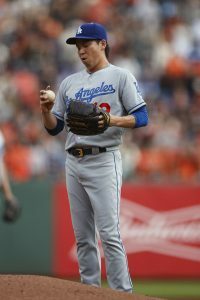 Kenta Maeda allowed a season-high nine hits and five runs in the Giants’ 7-1 win over the Dodgers. SAN FRANCISCO — The Dodgers tried to play their final series down the middle, simultaneously prioritizing rest and staying sharp for the National League Division Series, and wound up getting swept with a 7-1 loss to the Giants. Andre Ethier has a National League Division Series roster spot. Vin Scully invited us to pull up a chair one last time. He ran into a traffic jam before leaving AT&T Park. The Dodgers’ Game 162 lineup is good. SAN FRANCISCO — The Giants are playing for something today. The Dodgers, not so much. 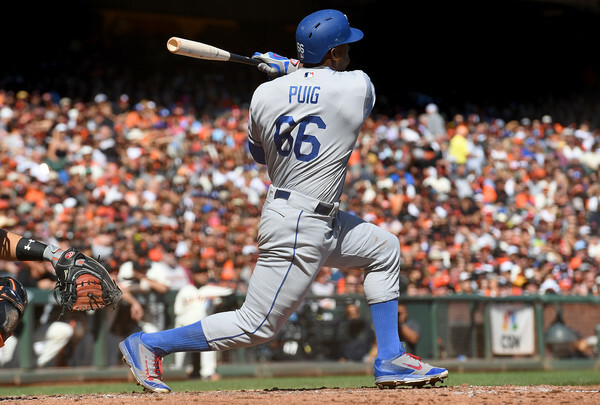 Game 161: Dodgers lose to San Francisco Giants, will start the playoffs on road. SAN FRANCISCO — The Dodgers will begin the postseason on the road after losing 3-0 to the Giants. The box score is here. Vin Scully made a lasting impression on columnist Tom Hoffarth, then stuck to his retirement plan. Dave Roberts flip-flops his position on Dodgers’ number-2 and number-3 hitters. SAN FRANCISCO — For the better part of the last five months, if Dave Roberts had Corey Seager and Justin Turner in the lineup, he had them batting in that order. Seager, then Turner. To wit: Seager has been the Dodgers’ number-2 hitter in 118 different lineups this season (103 more than the next guy). Turner has been the number-3 hitter in 109 different lineups (85 more than the next guy). Now, on back-to-back days on the final weekend of the season, the order has been reversed. Turner is batting second and Seager is third again Saturday against the Giants. Game 160: Giants treat Brandon McCarthy like a flower child in the outfield. 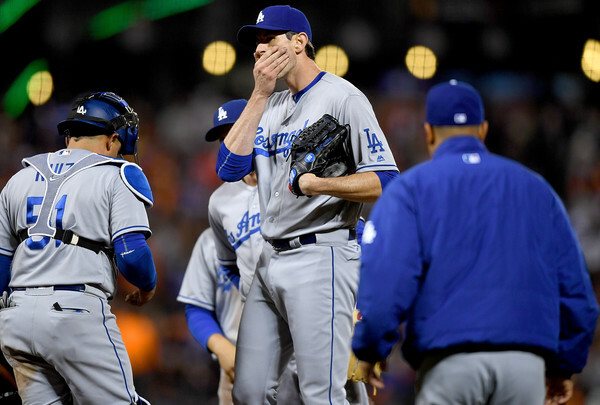 SAN FRANCISCO — Brandon McCarthy‘s odds of making the postseason roster as a reliever took a dive in the Dodgers’ 9-3 loss to the San Francisco Giants. The box score is here. Dave Roberts is stressing the positives against left-handed pitchers. There are Vin Scully Awards in Los Angeles and New York City. Cooperstown should follow suit, writes colleague Tom Hoffarth.